A few weeks ago I went for my first summer vacation. That was a trip to Saigon, a city that I have had on my visiting list for quite some time. I had a great long-weekend there and sent a digital postcard home from my trip. 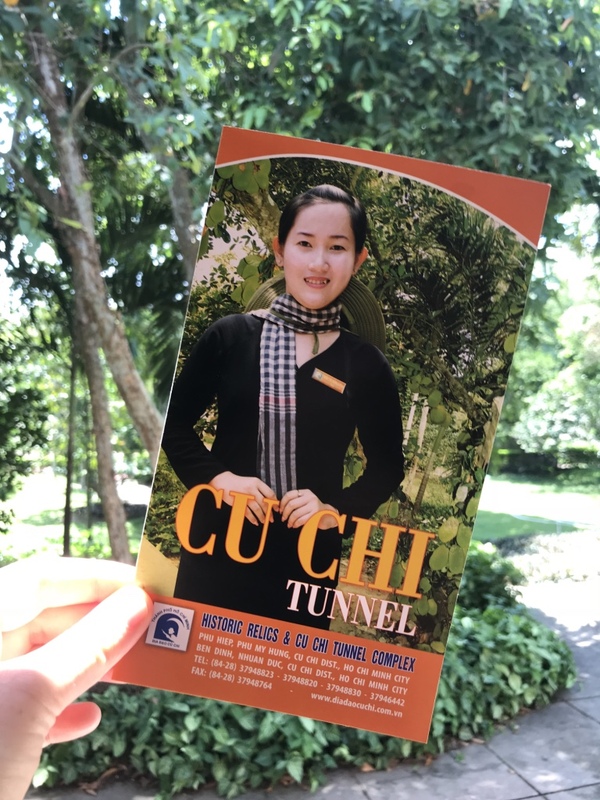 Although the city itself was appealing to me the main thing making me wanna go to South Vietnam was the Cu Chi tunnels. 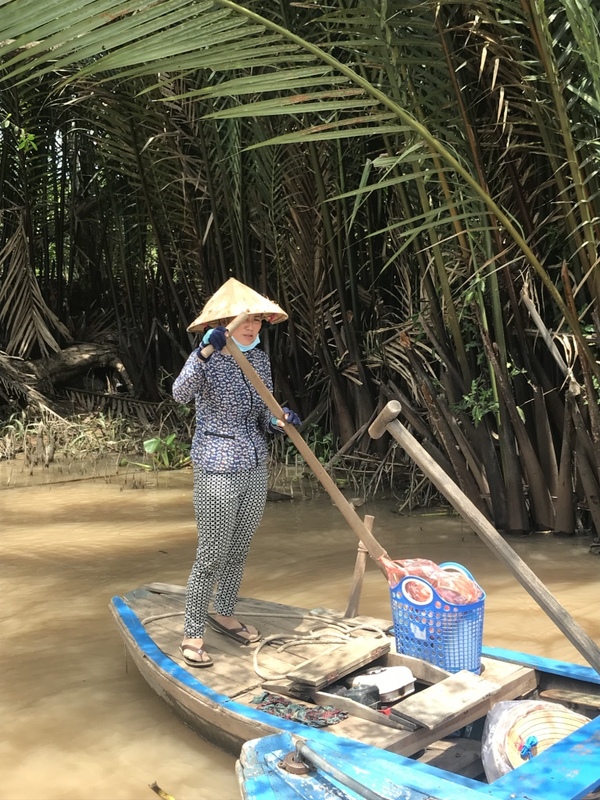 So one day I went there on an excursion and another day I took another excursion to explore the Mekong delta. Two things I strongly recommend every Saigon travelers. How was it then? ready for a sneak peak? 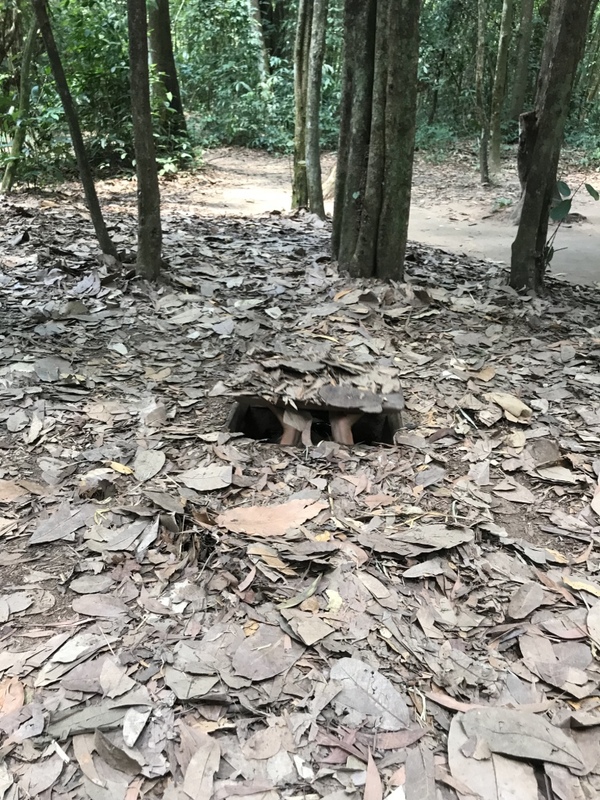 During the Vietnam war a network of underground tunnels were built outside of Saigon and on many other places in the country. People were hiding there in order to protect themselves from being killed. The americans were discovering the tunnels so in between there were also traps that killed the enemies. I booked a tour from a local tour operator and like most other things in Vietnam you still get a lot value for money. I paid 18 USD and got a full day of excursion to and from my accommodation. After the two hour long bus tour we arrived to the tourist attraction. It was not crowded at all so there were plenty of time to explore the place and also climb into the tunnels. We started with going down in one. 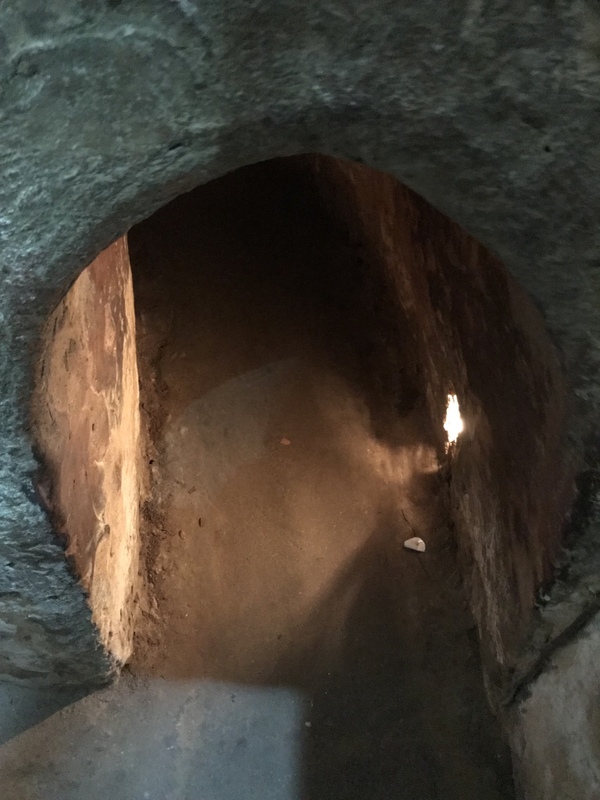 The hole was pretty narrow so a 2 meter tall person would be stucked. I managed to hide under the ground but I lost my flip-flop in there. Luckily a nice guy were saving it for me since I was to scared to go down with my head first and try to pick it up. 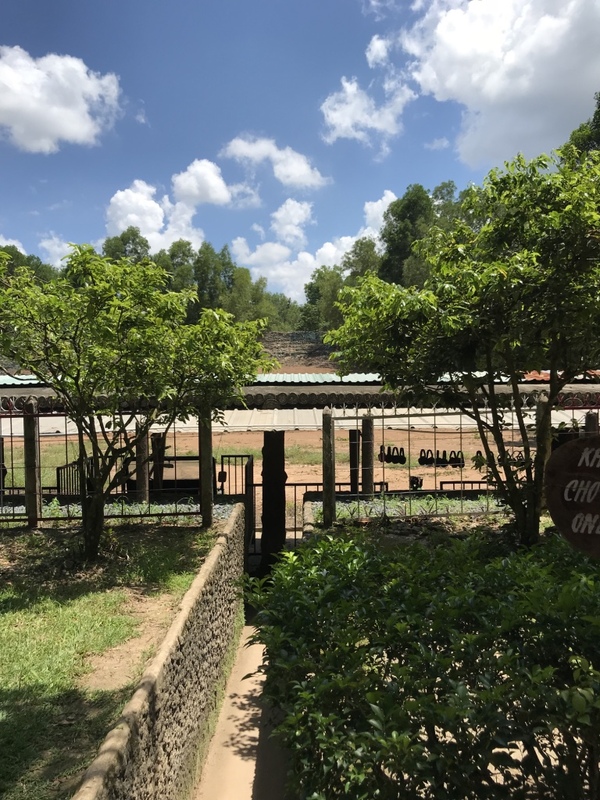 We then kept on walking around the area, listening to stories and watching different kinds of traps before reaching the shooting range where you could fire guns from the time being. You definitely should bring some ear plugs if you plan to do that because the noise coverage you got was in bad shape. After a drinking break we then came to the main part – the tunnel crawl. The ones of us (which was not all) went down about ten meters under ground and got to explore the tunnels together with spiders and bats. The place was very narrow and even though I am less that 165cm tall I had to bend down completely to fit. We got the opportunity to walk 130 meters which took 10 minutes. I don’t like to be under the ground but this I forced myself to do. And like with every fear you take on doing I felt the happiness when I walked out on the other side and had made it. After that mission the tour was almost over. Okey, there was a movie but after several hours at the place I had got enough and was looking forward to going into the aircon bus that was bringing us back to central Saigon again. The following day I had booked another tour with the same tour operator. I didn’t booked online since I do not really trust online booking sites in developing countries and being scammed when you can do some precautionary actions is just stupid. So I did the traditional way of booking. Over a disk at a tour operatior. 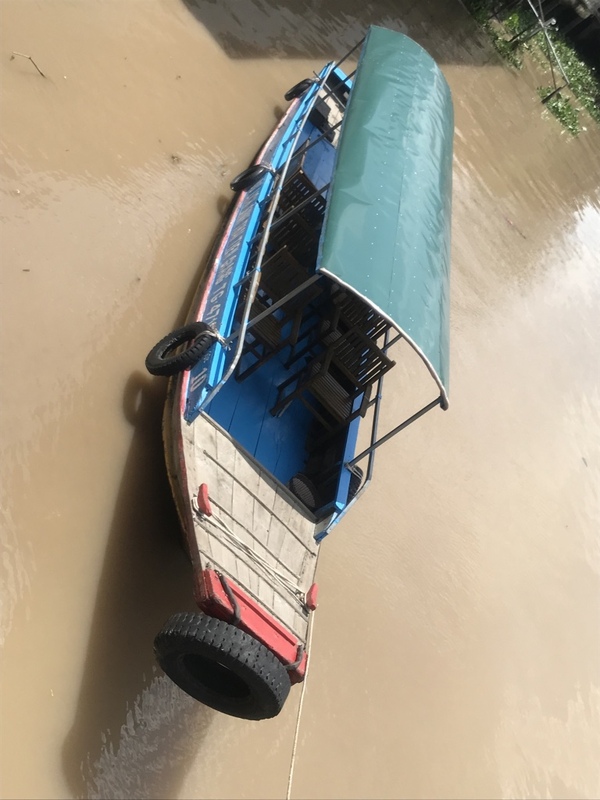 The bus also arrived on time this day to pick me up at the hotel for transport to the Mekong river delta about two hours away where the boat were waiting. The water was beige and you probably think it is because of contamination but it is not. It is the true color of the Mekong delta. We cruised around about an hour before we had to get off the boat and go for a kayak kind of boat. That felt like a fairy tale story. One Vietnamese lady were bringing us in an alley for half an hour and it was as peace ful as it looks. One of the most enjoyable moments of this day. A day filled with water activities but I love that. The schedule were pretty hectic but not too much. At least not to me that is used to stress around from one thing to another. If you want to take it in your own pace I would recommend a private tour. We were eight people at mine which was perfect I think. I kept on enjoying the day doing one activity after the other. Having a walk to a garden for tea and fruits, watching plants and fresh grown bananas, pineapple, mango and some more fruits, going by horse and wagon to the lunch place, visit a local candy factory and seeing some local but touristy production of souvenirs. Well, I love that the local people work for getting a better life so I was happy to buy some local products to sponsor their entrepreneurship. Then I was pretty tired after a day full of activities so I fell asleep in the bus when we were going back to Saigon. If you travel to Vietnam I strongly recommend to take some tours. It is a country where you can see a lot of things and doing it yourself more or less requires driving skills and driving in the traffic of Saigon (or Hanoi) I would not recommend although you are an excellent driver. The traffic is cray. 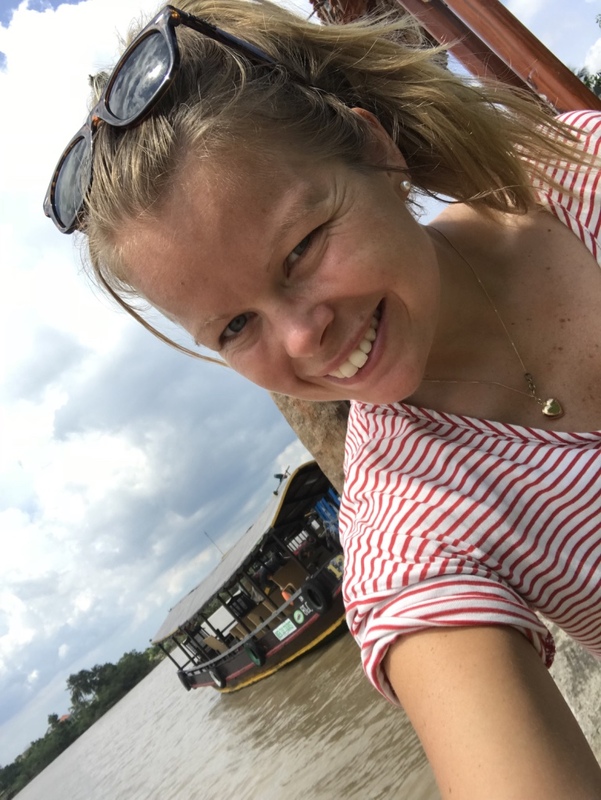 Also the advantage to go with a tour guide is that you will have the chance to talk to a local and ask every kind of questions you can think about. Either you can go on an organized group tour or just rent a guide that bring you where you point your finger. The choice is yours but as said I recommend to leave the city limits and explore the country because there is a lot to see and do for the adventurous. By the way, would you feel for going to Vietnam? Nej tack, skulle inte klättra runt på skorstenar.